Edwardian storage jar and lid transfer printed in black. 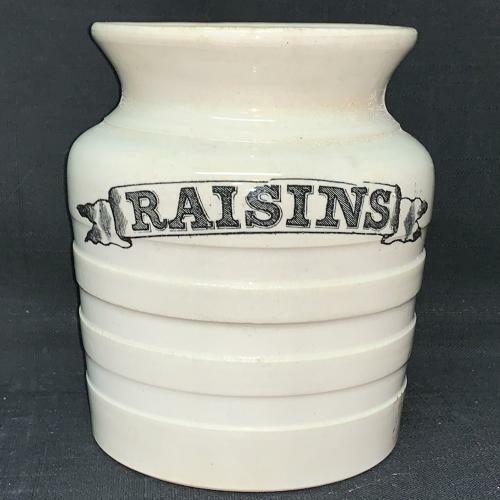 Great engine turned incised banding below the name Raisins. 6” tall x 5 “ wide Good Condition, two hairlines off the rim hardly noticeable and does not compromising the piece.